In support of her new album, Muna, Irglova played new songs along with a few favourites. 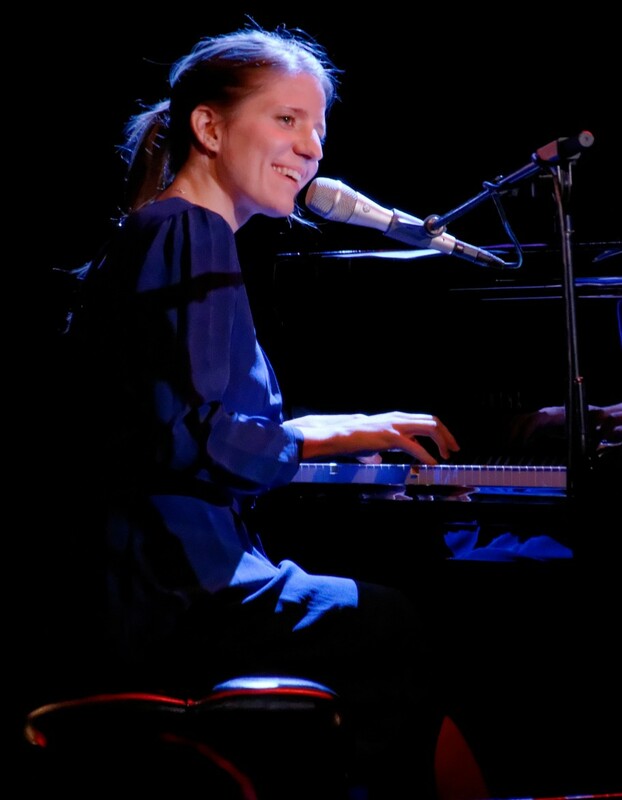 Marketa Irglova has one of the purest, most serene voices I’ve ever heard, and many of her songs have the ability to bring tears to my eyes no matter when I hear them. I was overjoyed when I found out about her stop in Vancouver, as she tours in support of her new solo album, Muna. She was joined by Iranian daf player and vocalist Aida Shahghasemi, and Rob Bochnik and Joe Doyle (who also played with Irglova in the band, The Swell Season), along with opening act, Rosi Golan. You might know Irglova as half of the duo responsible for the film, and now musical, Once, and as a member of The Swell Season, along with former partner, Glen Hansard. Hansard is another passionate musician who I’m a huge fan of, and together they made wonderful music. The Once soundtrack is not only one of favourite soundtracks, but one of my favourite albums of all time. It is too bad that they parted ways, but I’m glad that they’ve each continued making music on their own. Irglova focused most of her time on playing new material from Muna, but she threw in a few favourites such as “If You Want Me,” “I Have Loved You Wrong,” and her Academy Award winning song, “Falling Slowly.” If that song doesn’t make you feel something, I don’t know what will. I enjoyed hearing her new music, but it was wonderful to hear those familiar favourites. Shahghasemi did an impressive daf solo, and for one song she switched places with Irglova to play piano. The beautiful venue of St. James Hall only added to the calming, soothing quality of Irglova’s music. Featuring 27 musicians, Muna has a beautiful choral, symphonic quality to it on songs like “Point of Creation” and “Time Immemorial.” Of her new music, I enjoyed “Without a Map” the most, with its introspective lyrics and immersive quality. This second solo album is a departure from her Swell Season days, but with its thoughtful lyrics, beautiful melodies, and deeply soothing, spiritual quality, I think it is a genuine representation of her identity and skill as a musician. Muna is the Icelandic verb “to remember,” and that is exactly what I will do with this concert.